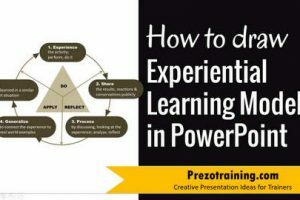 In this article, you will find a powerful technique called ‘Telescopic explanation’ to make your technical presentations much clearer and more memorable for your audience. Do you want to improve how you explain concepts in a technical presentation? 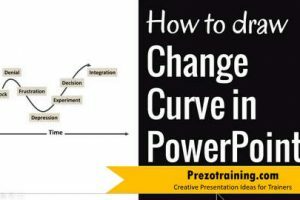 Do you want to leverage your PowerPoint slides to support your explanation? Finance & Risk presentations etc. 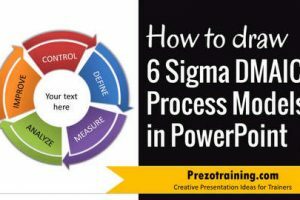 Such presentations have one common issue – they overwhelm the audience with information. In such presentations, a ‘telescopic’ explanation makes it easy for the audience to understand and remember the presentation. What is a telescopic explanation of a technical subject? The lenses are specially constructed to allow you to progressively zoom into a specific area at a distance. You can easily adjust the zoom, so you can alter between a close up view and a wide angle view. The wide angle view allows you to understand the broad context and the close up view helps you understand the narrower details. This switch between ‘broad’ and ‘narrow’ is the key to understanding any subject at a deeper level. When you apply this simple logic to explain a subject it is called as ‘telescopic explanation’. Let me give you a practical example of how to apply telescopic explanation using your PowerPoint slides. Let us say, you want to make a presentation about a medical condition called Tennis Elbow. First, you give the overall context of the condition. This slide allows your audience to clearly visualize how a tennis player subjects his/her hand to “Repetitive strenuous motion”. Of course, you can ‘demonstrate’ the movement in the conference room, to add further clarity. Now, you go one level deeper and talk about the area of the hand where the problem is located. Now, your audience gets into the subject along with you. Since they already have the context from the first slide, they can follow your explanation easily. Now, you get into the specific pain point. Your audience will stay with you, because they know the context at different levels of depth. That is how you use ‘Telescopic explanation’ for your technical presentations. Many presenters make the mistake of jumping right into the close up view without giving the context to the problem. This usually overwhelms the audience and pushes them right out of your presentation. First off, never assume that your audience is already aware of the background context of your technical presentation. Most of the time that assumption turns out to be wrong. So, take a little time to set the context, before plunging into the details. Second, know how to adjust the amount of zoom. When your audience knows the subject well, don’t linger too long at the context setting stage. When your audience is new to the subject, don’t deep dive till you are sure they got the context. Finally, any strategy is only as good as the way it is executed on field.